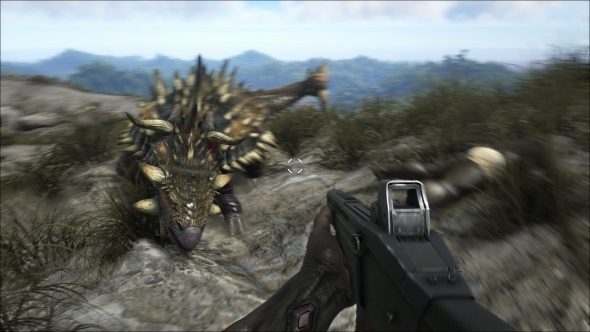 Ark: Survival Evolved is not a game to be ignored. Having rarely been out of the Steam top ten most-played games list since its first launch back in June 2015, it’s by far and away one of the world’s most popular games. If you’ve never played before, though, let us provide a quick insight into what makes Ark worth having on your radar. Stay alive in our picks of the best survival games on PC. Ark will release on August 8, 2017, but it’s actually been available to play for quite some time now. That’s because Ark is a Steam Early Access game, and has been on the platform since June 2, 2015. This means it’s technically been a ‘work in progress’ for a couple of years, despite being available to buy and play. During those two years, the game has grown enormously, with developers Studio Wildcard adding new elements to the game through regular patches. While Ark will leave Early Access on August 8, 2017, that doesn’t mean it won’t continue to grow and change, it’ll simply no longer be in the beta development stage. 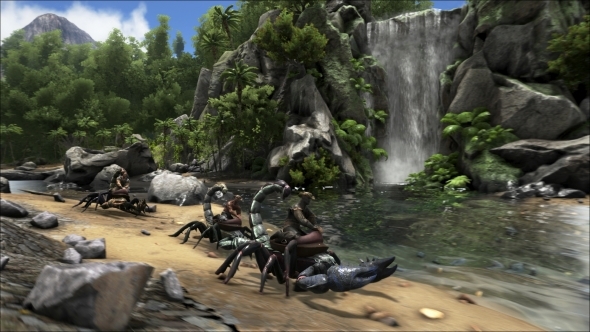 The game’s name comes from the setting; a mysterious island known as Ark. It’s covered in lush vegetation for you to harvest in order to survive, but the island’s most intriguing feature is its dinosaur population. Yup, this is Jurassic Park: the island, and – provided you can stay alive – those dinosaurs could become your friends. 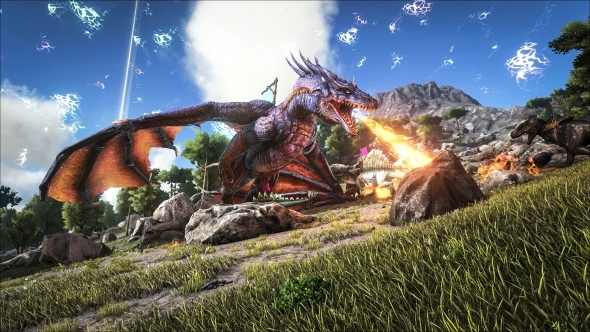 As Ark is a survival game, you’ll need to use everything its island has to offer. You’ll chop down trees to craft weapons and buildings to live in, grow crops to eat in order to fend off starvation, and research technologies in order to progress from stone age spears to advanced rifles and cannons. 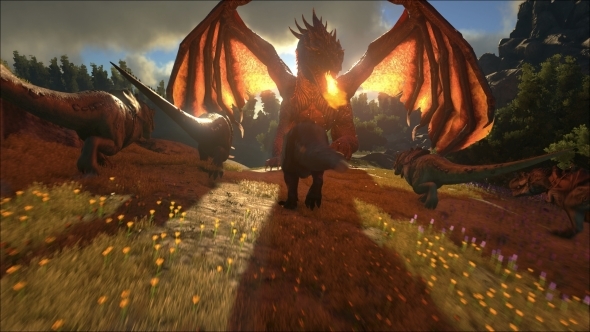 It’s a harsh world and you’ll certainly suffer defeat multiple times on your journey, but half the fun of Ark is overcoming the monumental odds stacked against you. You may have played several survival games before, and understand how hunger, thirst, and stamina must all be managed in order to stay alive. But Ark has a slightly more complex system than those seen in the likes of Rust and DayZ. While it’s important to stay healthy, you also have a wide array of attributes that can be levelled up, RPG style, in order to make surviving just that little bit easier. Your attributes come in 11 different forms: health, stamina, oxygen, food, water, weight, melee damage, movement speed, fortitude, crafting speed, and torpor. They all have numeric values, which start low but can be increased by levelling up your character. Increasing your level will, for example, allow you to take more damage, carry more items, or play for longer without needing to eat. You can level your character up 115 times by earning experience points. XP is earned through violent means (defeating dinosaurs) or more a more pacifist manner (crafting new items). Assigning your points to specific abilities allows you to mould your character in a direction that interests you, such as a hoarder that can carry every found item, or a brawler that can shrug off even the most brutal attacks. Ark’s most interesting feature is, without doubt, its collection of 29 dinosaurs. From the skittish Gallimimus to the aggressive Giganotosaurus, there’s a fascinating array of sizes, styles, and characteristics to discover. What’s more, Ark’s dinos aren’t just your enemy; they can also be your friend, too. A large majority of Ark’s dinosaurs are ridable (including things like the flying Pteranodon, allowing you to take to the skies for rapid traversal of the island), and even dinos that can’t be saddled can be tamed. Taming is a long and complicated process, requiring many items and hours of your time, but it’s absolutely worth it for the joy that is having your own pet dinosaur. 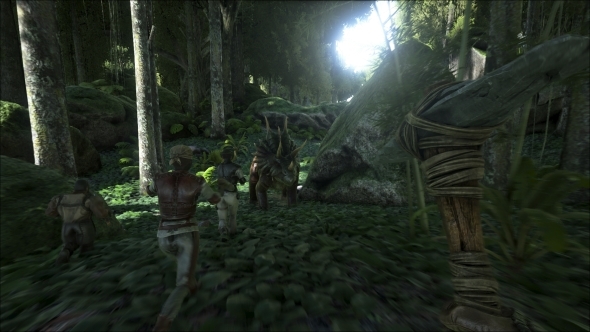 It’s arguably Ark’s main draw, and part of the reason it triumphs over many other survival games on Steam. The world of Ark is home to massive dinosaurs like the Giganotosaurus. But even such a terrifying behemoth as that pales in comparison to the island’s boss creatures. Shadowy places hide away the Dragon, the Manticore, the Megapithecus, and the Broodmother Lysrix. Taking on these mythical monsters comprises some of the most difficult challenges in the game. First, they must be summoned by collecting a variety of specific artefacts. Then you’ll find that to defeat them requires thorough preparation, as they are highly dangerous and aggressive. Ark has two approaches to PvP. 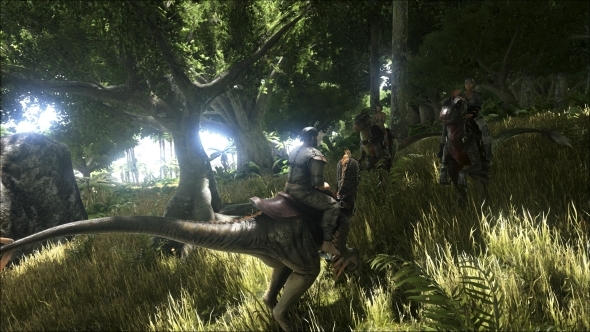 A standard Ark server can support up to more than 100 players, and everyone is free to murder each other as they see fit. Merely trying to survive in Ark’s online world will undoubtedly see you engage in a bit of PvP, but if you’d rather make it the sole purpose of your time in the game you can always opt for Survival of the Fittest. This separate mode, kept as a different game in your Steam library, is a battle royale in the same vein as PlayerUnknown’s Battlegrounds and H1Z1: King of the Kill. 72 players go in, and only one can come out the other side, crowned victorious. Like in PUBG and H1Z1, you can band into tribes with friends and other players to better your chances of winning. Inside the arena, a force field will gradually shrink and force people closer together. To stand a chance of being the last player left alive you’ll need to make best use of Ark’s key components. That means crafting, taming dinosaurs, and staying healthy throughout the match. As mentioned earlier, it’s in Survival of the Fittest that the Ark bosses really become special. If you can defeat them you can tame them. Trust me, you certainly don’t want to mess with a player in control of the Dragon. Studio Wildcard are a very PC-friendly studio, and as such, the modding community for Ark has been booming. The developers even have a $4,000 monthly payment scheme to compensate modders for their work. Don’t worry, though, mods are free for all players to use. Within the first few months of Ark’s Early Access release, there were already dozens and dozens of high-quality mods, and that scene has only grown over the past two years. With the full release just around the corner we can only imagine that the best Ark mods are yet to come. Ark is quite a demanding game that puts a fair bit of pressure on your PC. The minimum specs required, as shown below, really should be considered the absolute bare minimum. For a more enjoyable experience you’ll need significantly beefier hardware, although there’s chance that future patches will continue to optimise the game’s performance across all machines.